(RNS) Ever since Pope Francis was elected in March 2013, he has faced strong opposition from traditionalists unhappy with his push for church reforms — and the face of that opposition has often been Cardinal Raymond Burke, an American prelate who has worked in senior positions in Rome for most of the past decade. Francis eventually moved Burke out of key Vatican jobs and into a more ceremonial post as patron to the Knights of Malta, an apparent downgrade that both Burke and the pope insist wasn’t tied to the cardinal’s criticisms. He did that again most recently in a book-length interview in which he hits many of the themes that have drawn attention in the past: critiquing “radical feminism” and homosexuality (“a wounding of nature,” he calls it) as well as the “secularization” and moral relativism that he says have infected society and the Catholic Church. Notably absent from the book, however, and from direct criticism, is Francis himself. Throughout the extended interview with French journalist Guillaume d’Alançon, which was published under the title, “Hope for the World: To Unite All Things in Christ,” Burke approvingly and frequently cites Saint John Paul II, the pope who named him a bishop back in 1995, and Pope Emeritus Benedict XVI, who brought him to Rome in 2008 and made him a cardinal two years later. “I know about all these depictions. People call me ‘the enemy of the pope’ and so forth. I have never been and I am not presently the enemy of the pope,” Burke told RNS by telephone recently from his home state of Wisconsin, where he was spending time this summer. “I have never, in anything I’ve said, shown disrespect to the papal office, because the Catholic Church doesn’t exist without the office of Peter,” he said, referring to the apostle who Catholic tradition views as the first bishop of Rome and therefore the first pope in an unbroken succession up to the present day. 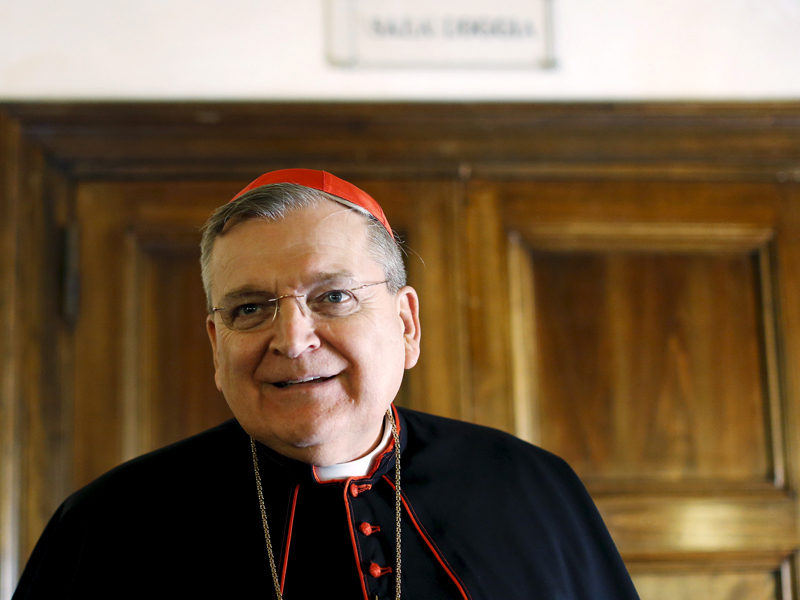 That commitment means that Burke will continue to push hard against the heart of Francis’ reformist approach, and that he will continue to be seen as, if not an enemy of the pope, at least his counterweight, and a favorite of those who would love to see the 68-year-old Burke one day succeed Francis, who turns 80 in December. One of the chief targets for Burke of late has been the pope’s controversial document, “Amoris Laetitia,” or “The Joy of Love,” in which Francis synthesized the intense debates about church teachings and the modern family that took place across two major meetings of bishops from around the world that Francis convened in Rome in 2014 and 2015. The pontiff’s lengthy exhortation, as it is known, was viewed as enshrining a new, more welcoming approach to Catholics who do not fit the textbook ideal of the catechism — single parents and gays, for example, and divorced and remarried Catholics. “The Joy of Love” seems to leave open the possibility that divorced and remarried Catholics could receive Communion, for example. It has opened the door to the kind of discernment and appeals to conscience that critics say are misguided and in fact undermine long-standing Catholic doctrines and practices, and that’s why it has become a focal point for conservative dissent.